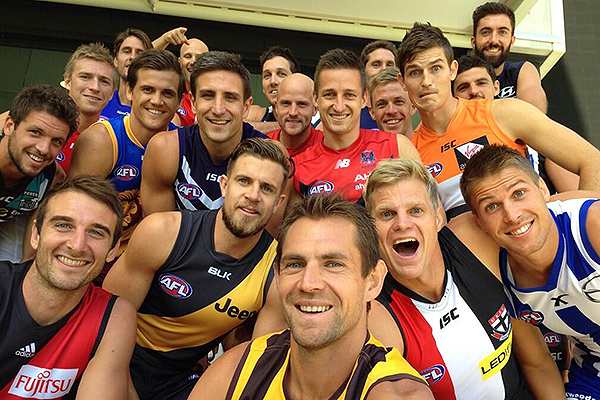 The AFL season is set to start this weekend, and what a year we hope it to be. If the previous years are anything to go by then it should be another cracker. The betting history speaks for itself. The last 5 years has seen an 18.5% ROI with last year and 2012 both recording over 22% ROI. Incredible stuff! The new player based model has been doing just as well too in its break out year. The AFL model I believe is Sportpunter’s best. The consistent profits made year in year out, and simplicity of only betting on weekends makes it the perfect subscription for professional punters and newbies alike. But what is important is to get on board early in round 1. Too many punters like to start betting after round 5 or so because they want to have a feel for the teams. Well the Sportpunter model already has a feel from round 1 and the results speak for themselves. Shown below are the profits made for line betting since 2005 by round. Clearly this shows that the first few rounds are when a lot of the profit is made. So it is very important to get subscribed before the first bounce of the first game. In 2011 for example, we won all first 6 bets from round 1, and the two biggest bets in round 2. But whilst the graph above looks as though the profits generally decrease over the season, it is not a general fault of the model why this is so. Keep in mind that the number of matches played in round 23 onwards are a lot less due to finals. The graph below shows the %ROI based on round for line betting since 2005. This graph shows a pretty consistent profit made throughout the season. The profits early in the year are therefore bigger, because the bet size is bigger and this is because the overlay or advantage to punter is bigger. So once again this shows the importance of signing up before round 1 starts to reap the rewards. The futures (probability of premiership, finals, spoon etc.) are now on the webpage, and traditionally these have done very well.